Sell your products online with a bespoke site created by our ecommerce website design Newcastle team! The internet has brought with it an entirely new platform for businesses to sell their products and services. Gone are the days when your customers could only shop your products in specific opening hours. Now you have the chance to have a 24/7 shop, boosting your business by allowing customers to shop whenever is best for them. 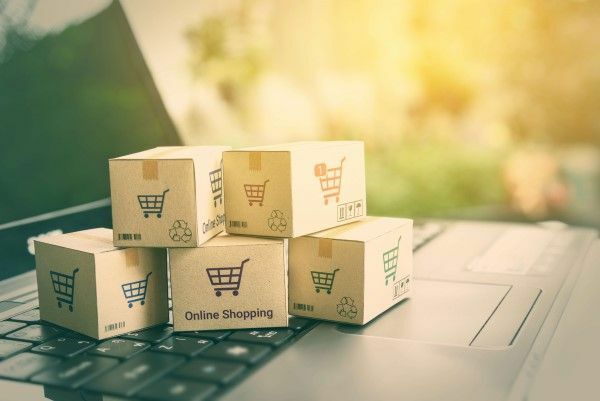 With an increase in businesses who have an ecommerce website, it is almost certain that at least one of your close competitors out there have their own website. This makes it essential for you to also have a site, in order to ensure you can continue to compete for the top spot. Our ecommerce website design Newcastle team can give you the platform needed for a successful business. We will design and build a completely bespoke website for you. No matter what you’re selling we’re happy to collaborate with you to ensure your site is unique, well-designed, and fully functioning. If you’ve been on the hunt for a full-service ecommerce website design Newcastle agency, well then here we are! No matter what sector you’re in, our creative ecommerce website design Newcastle team can create the perfect site for you. We ensure all of the necessary features are there, such as a secure payment platform and easy navigation. We have a specialist’s website design Newcastle team who will put their all into ensuring your website is fully optimised and successful. When it comes to retaining customers, a secure checkout is essential. Payment is a large part of an ecommerce website, securing a method for your consumers to efficiently purchase your products and services. Once your customers are on your website and thinking about purchasing a product, you don’t want them to be turned away by a payment system that they feel they cannot trust. Our ecommerce website design Newcastle team ensure that your payment system is safe for you and your customers. With our history of creating ecommerce sites, you can trust us to create the best payment platform. With our expertise we also know the importance of communicating with your customers that your website is completely safe to use. We display trust signals such as security badges on your payment section. This quickly and easily informs your customers that the process is secure and trustworthy. 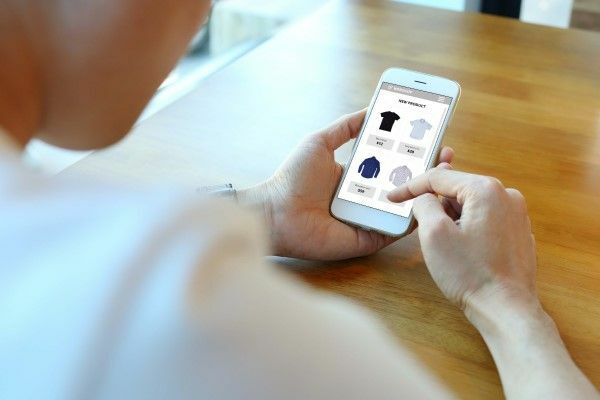 When our ecommerce website design Newcastle team work on your website, there is one thing they are always thinking about: user experience. If your customer does not enjoy being on your website, finding it difficult and frustrating to use, they will leave. No matter what the products, customers need to feel your website is accessible and functioning or they will automatically get a bad perception of you. How organised do you think a company looks when their website doesn’t function properly? Not very. Our website design services will ensure the site is well established and successfully built. We make sure that everything is organised and inserted correctly and efficiently. You need an easy to follow navigation, fast loading page speed, secure payment system and quality pictures to represent your products and services. A beautifully designed website is useless without some effective content. Our ecommerce website design Newcastle team includes professional content writers, ready to take your site to the next level. It is important to get informative descriptions of your products and services across to your audience. If they feel they do not fully understand what you’re offering, they will be straight off your site and looking for an alternative. The content needs to be informative, exciting and engaging. The content does stop there. For your SEO strategies, a blog post can be used to help boost your website’s traffic. Using the correct keywords throughout engaging content can help get your website to the top of search engines. This means you are more likely to be found by customers, and more likely to sell products. Mobiles and tablets have overtaken desktop as the most popular way to access websites. As we now all walk around with a device in our pockets that can easily access the internet, it makes sense to ensure websites are responsive to these devices. Without a responsive website, your customers will find it difficult to view your products and services. Explained simply, a responsive website means that your site will adjust depending on what device it is being viewed on. This means that features such as your navigation bar and images will adjust their size and formatting on different platforms. Get in touch with our ecommerce website design Newcastle team today! Interested in getting a fully bespoke website built for you? Then Bigfoot Digital is the place for you! From ecommerce to brochure website design, we will design and build a website perfect for your business. Our experienced ecommerce website design Newcastle team know the recipe for a successful website. We are a full-service agency who can help you further than just building your website. Our SEO and social media services will help increase your website traffic. This is done by increasing your following and ranking position on search engines. If you’re interested in any of our services, get in touch at enquiries@bigfootdigital.co.uk.